Elizabeth - 3rd Monday @ 7:00 p.m.
Ruth - 3rd Thursday @ 7:00 p.m. 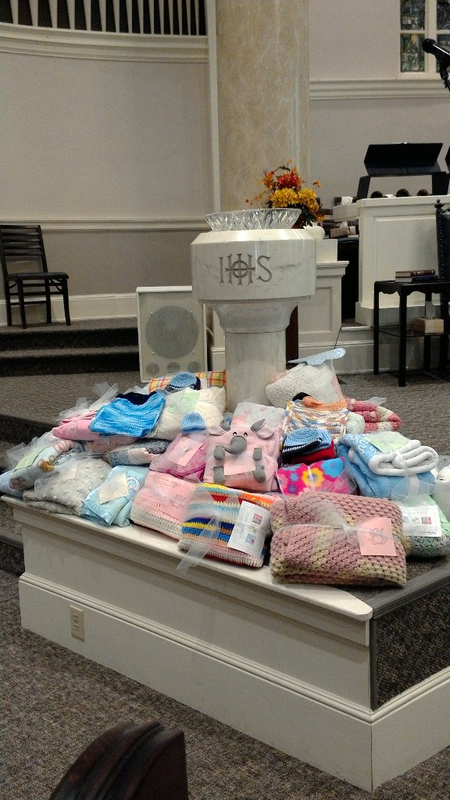 Together in Service -layettes/knitted caps for St. Joseph Hospital. Malawi Matters - Reusuable sanitary pads for young girls in Malawi. PW Mission Pledge a/k/a Celebration Giving The PW mission pledge is an annual pledge to Presbyterian that is in addition to the tithes and other support to the church. Contributions to the Mission Pledge fund the work of PW at all levels and the mission of the Presbyterian Church (U.S.A.). Without the mission pledge, the church’s ministry in the world would noticeably shrink. 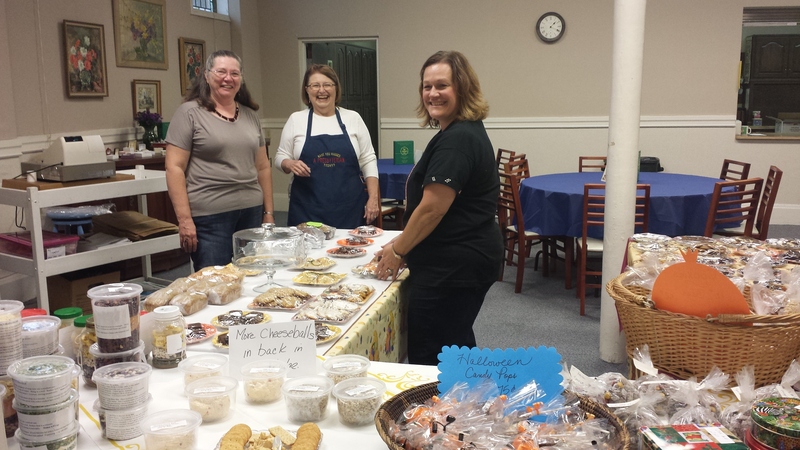 Our Basement and Bake Sales help suppoort our mission offering. The Thank Offering gives women a tangible way to express their gratitude for the special blessings in their lives. The offering funds projects such as agricultural development, child care, community organization, criminal justice, drug counseling, economic justice, elderly care, employment training, homelessness, literacy, violence and women’s concerns. 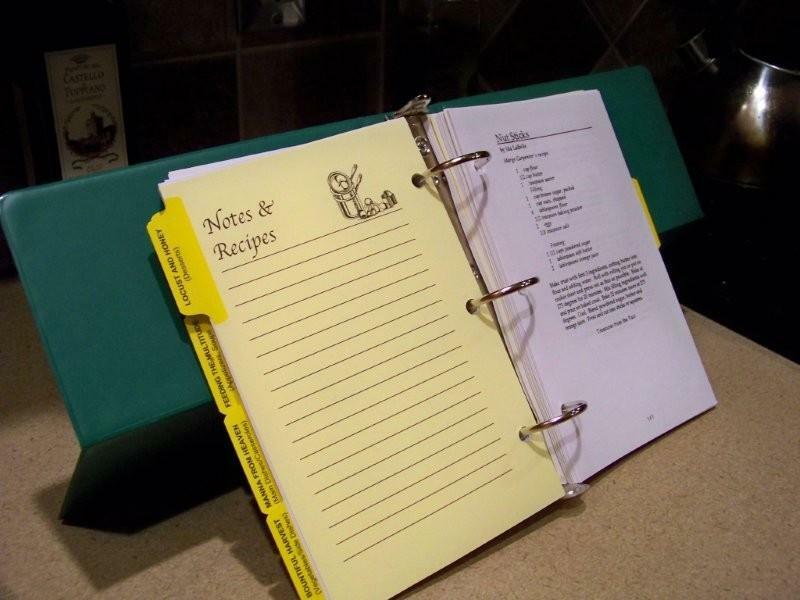 At least 40 percent of this offering supports health ministries throughout the world. The remaining 60 % funds new creative ideas for mission. The Birthday Offering and the Thank Offering make it possible for new and existing ministry projects around the world to expand their work in new and creative ways. Fellowship of the Least Coin Fellowship of the Least Coin links prayer and "least coins" in a very significant way, as the least coin becomes the symbol of prayer for peace and reconciliation. Fellowship of the Least Coin, an ecumenical prayer movement, was begun in 1956 by Shanti Solomon of India who believed that women anywhere could have a sense of being part of a worldwide family of faith as they prayed for peace and reconciliation and set aside the least coin of their country as a symbol of that prayer. As coins are gathered from around the world, they become a sign of our oneness in the common quest for peace, justice and reconciliation. Grants are made by an international committee for special projects of evangelism, service, ecumenical solidarity, awareness-building among women and relief throughout the world. 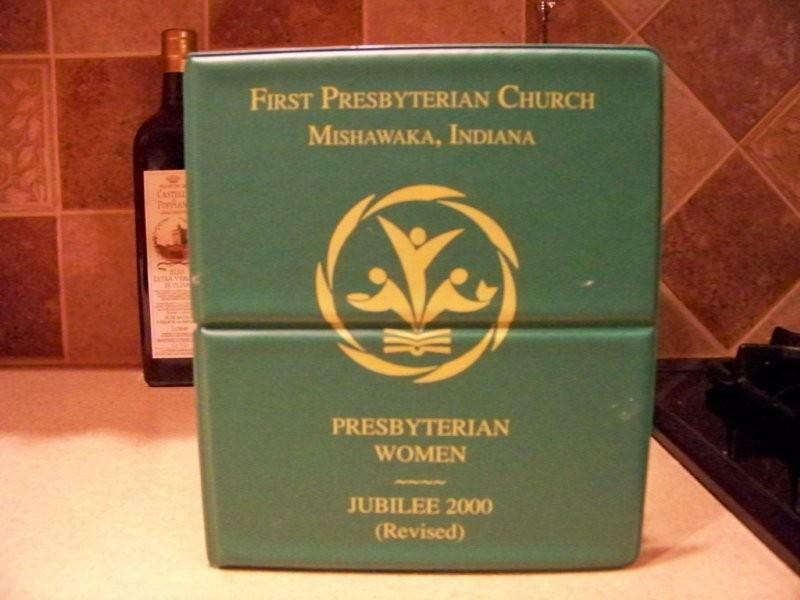 Presbyterian women are encouraged to participate in the Fellowship of the Least Coin. It matters — prayer and least coins are making a difference all over the world. Prayers and least coins allow us to envision a brighter future for many. Where PW history is concerned, we can tell where we are going by where we have been. The same applies to The Fellowships of the Least Coin: we have had a solid 50 years of prayer and positive action that have made a difference for all involved. May the next 50 years be the same. Presbyterian Women has a mission, a voice and a place in the church. Our predecessor organizations began more than 200 years ago when women had no role outside the home. In the early 1800s the first Presbyterian women's organization defied societal and church conventions. These courageous, dedicated women faced the biases of men and others who felt women should remain at home. In spite of the numerous restrictions, the women's organization gained respect, especially that of missionaries in the field who requested women's donations and prayers. 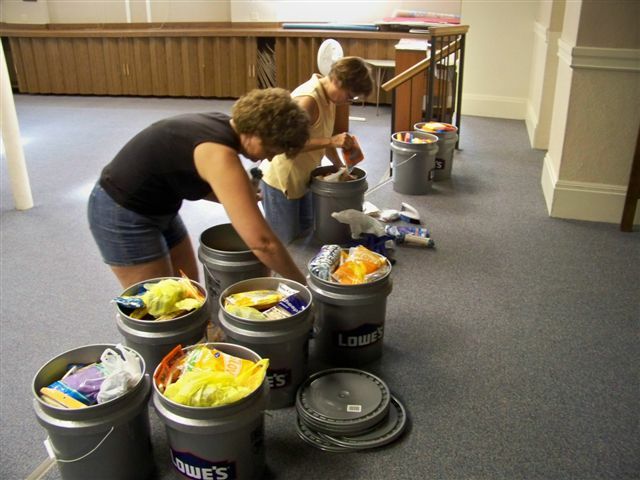 Two centuries after the first Presbyterian Women gathered to pray and donate their money to the church, women have voice in the church and in the world. A legacy of devotion to the church and dedication to God are a strong foundation for continuing mission and taking Christ into every area of life in the third century. Presbyterian Women exists today because women are adaptable, determined, proactive, charitable, generous and dedicated to God.